EV Powertrain start-up Evans Electric is rumoured to be working on some interesting electric vehicle projects. The Sydney based team have developed a world-first copper rotor axial flux induction motor for automotive applications. The patent pending design has torque density on par with comparable axial air gap synchronous motors but without the expense of rare-earth permanent magnets. 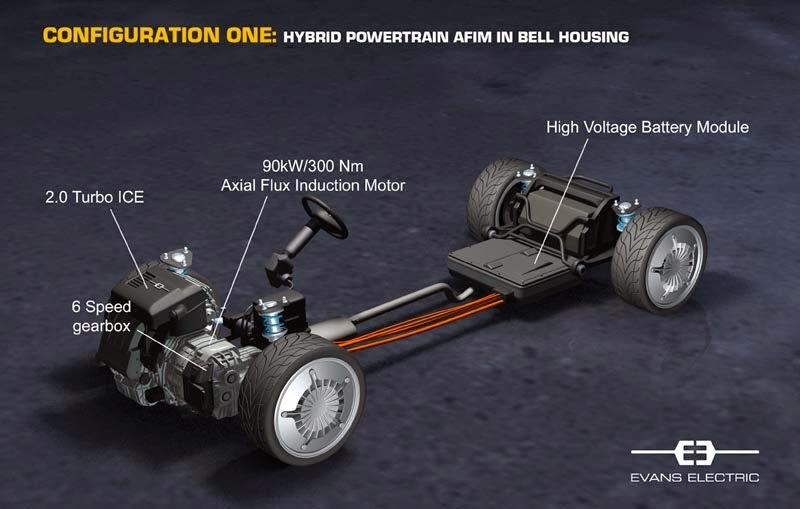 Disc-shaped Axial flux motors are steadily making inroads into electric vehicle powertrains with Renault, Koenigsegg and Bugatti all looking to incorporate them into future models. Evans Electric were also rumoured to have been hired by an OEM to help develop the architecture of a series hybrid powertrain based on in-board AFIMs with all-wheel-drive torque vectoring powered by a supercapacitor / li-ion battery energy storage system. Cutting edge stuff! No news on which OEMs head these projects but they are believed to be EU headquartered.